Sleep sacks are a safe and easy way to keep your baby comfortable at night. With a sleep sack, you won’t need blankets or duvets. 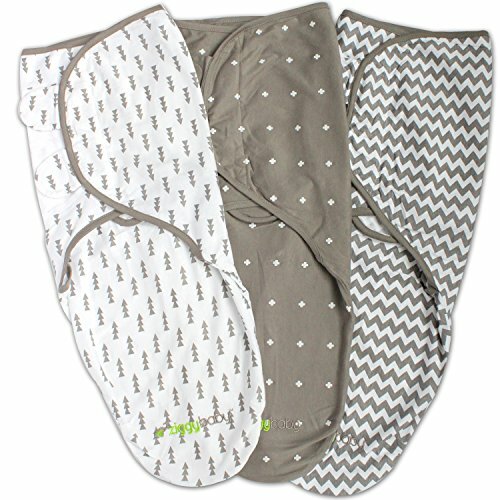 They’re designed for easy access to your baby’s diaper so nighttime diaper changes are fast and easy. The ReviewLab team did extensive research into sleep sacks to recommend the products that not only perform well, but are convenient for both baby and parent. For each of our picks, we’ve provided information on fabric, ease of access, and versatility so that you have the information you need before making a purchase. Read more about our methodology. This all-season sleep sack has a merino wool inner sack and outer cotton shell for incredible comfort and temperature control. It fully opens so you can change your baby without lifting or tugging during night time diaper changes. This comfortable cotton set gives you plenty of sleep sack options. Breathable cotton makes the pieces soft and comfortable. Swaddle-style sleep sack provides three wrapping options for picky babies. Both sleep sacks unzip from the bottom so your baby can stay snuggly wrapped during nighttime diaper changes. This sleep sack is made of a quilted duvet material for the extra warmth you need in cold winter conditions. Well-designed shoulder straps allow you to put it on a sleeping baby without disturbing sleep. It shows great durability even after heavy use and lots of washing. Lightweight cotton muslin adds a thin layer of warmth and lot of comfort for babies in the summer time. The breathable fabric won’t leave your baby sweaty, and a two-way zipper provides easy access for diaper changes. A high-quality merino wool layer makes this sleep sack perfect for any time of the year. The wool regulates the inner temperature so that no matter the temperature, your baby stays comfortable. A bottom zipper gives good access during nighttime diaper changes. These lightweight sleep slacks have extra stretch so you can get your baby cozy for the night. They’re designed to let you adjust the tightness so they can grow along with your baby and her changing needs. 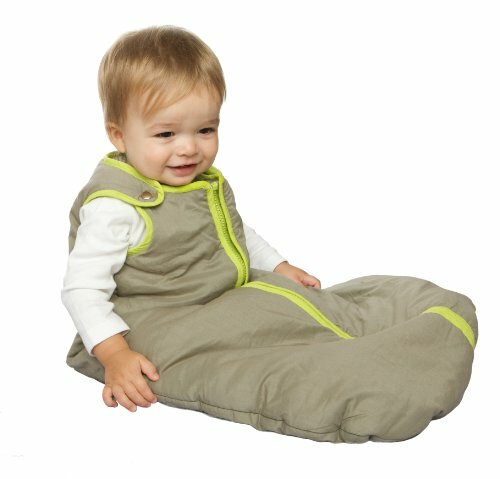 Comfortable and warm, this sleep sack works great for bustling toddlers. The open feet let them stand and walk without tripping. Extra bulk and warmth will keep your little one warm without any extra blankets. The fabric choice makes a big difference in baby clothing because babies have such sensitive skin. Cotton is always a good choice because it’s a natural fabric that’s soft against the skin. It’s also naturally breathable. Keep an eye on the quality of the cotton as inferior cotton pills. Wool, especially merino wool, is another fabric that makes excellent sleep sacks. It’s warm and, merino wool, in particular, works well to help regulate body temperature. Many all-season sleep sacks are made of wool because they prevent overheating in warmer temperatures. Nighttime diaper changes have to be quick to prevent your baby from waking too much. 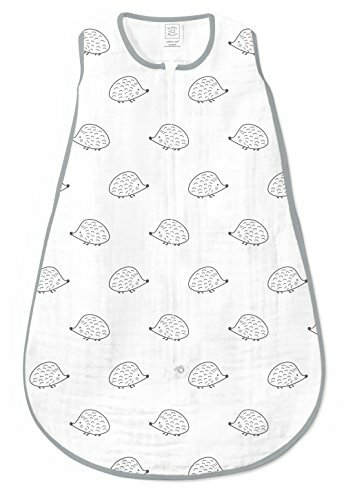 Check the design of the sleep sack for easy access to your baby’s diaper. Some sleep sacks have an elastic bottom that doesn’t close all the way. This type usually isn’t as warm because of the open bottom, but it is easy to slip over a baby’s diaper at changing time. Some sleep sacks have a single zipper running down the front, which means you’ll have to take your baby most of the way out for a diaper change. Other designs use a zipper or snaps along the bottom of the sleep sack while others also include a zipper or snaps up one side. The sacks with an opening that extends along the bottom and up one side provide the easiest access because you can open the sack and fold it over without having to pull the sleep sack from underneath your baby. Whatever design you choose, remember you’ll have to open the sleep sack in the dark when you’re tired. You want something as simple and easy as possible. 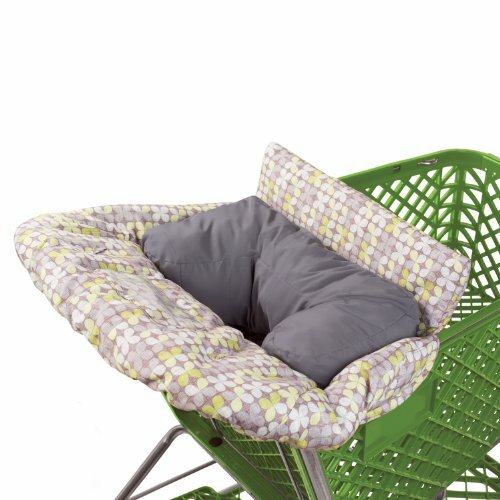 Some sleep sacks are designed to grow with your baby. They have several levels of snaps on the shoulders so the sleep sack can extend as your baby grows. Other designs incorporate a weighted front that feels like a hand on your baby’s stomach. Some babies find this extra weight soothing. Sleep sacks come with long sleeves or are sleeveless. Long-sleeve sleep sacks offer extra warmth, but sleeveless sleep sacks are more versatile as you can put a long or short sleeve onesie underneath depending on the temperature. For less than $15, you can find a thin cotton or fleece sleep sack. Most of these inexpensive sleep sacks are only intended for summer use as they aren’t very thick. For $20-$50, you’ll find cotton, cotton muslin, and fleece sleep sacks with different pattern options. Swaddling sleep sacks start in this range as well. From $50-$100 are sleep sacks with adjustable shoulder straps, toddler sleep sacks, and a few merino wool designs. Fabric design and choices abound at this price point. At more than $100, are merino wool sleep sacks, as well as thick, heavy designs meant for the coldest temperatures. There are also more toddler sleep sacks available in this range. High-quality merino wool helps regulate body temperature so babies don’t get cold or overheated. It comes with a temperature chart so you know how many and what kind of clothes to layer underneath. 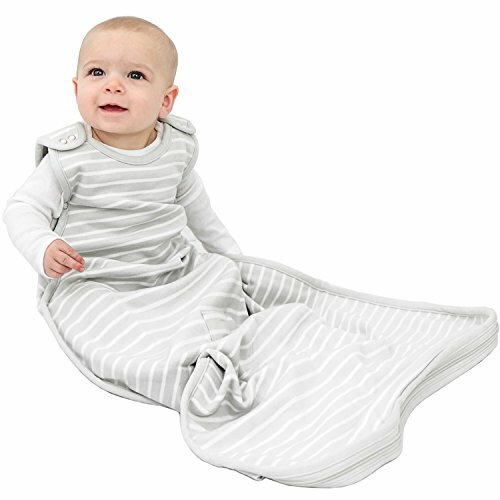 This sleep sack has excellent ease of access with a zipper that extends from one side of the baby to the other. You won’t have to pull or tug the sleep sack over your baby when changing diapers. The sizing works well as the sleep sack is large enough to last at least a year in most cases. High-quality, breathable materials. Wool helps to control body temperature in both cold and warm conditions. The merino wool used in this sleep sack is of the highest quality. 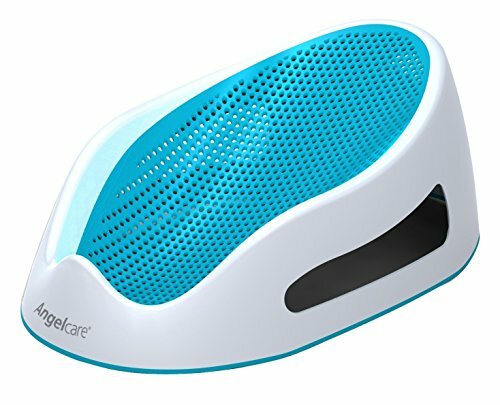 Many parents like that they can use it in summer or winter. Zipper design and quality. The zipper extends from one side of the sleep sack to the other so that the sack can be fully opened without disturbing your baby. A durable zipper makes it easy to open and close. Includes temperature chart with dressing guidelines. Different layers need to be worn underneath the sleep sack according to the temperature. The included temperature chart helps parents know how heavy underlayers should be. Leaves room for growth. It’s long enough that babies can wear it for a long time. 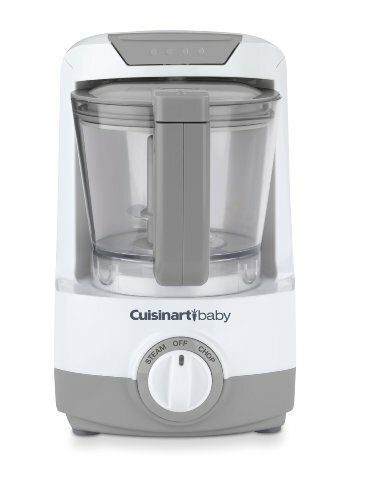 Considering the high price, many parents liked that their babies wouldn’t outgrow it right away. Requires special care when washing. The manufacturer recommends washing in a special detergent for wool that can get pricey. 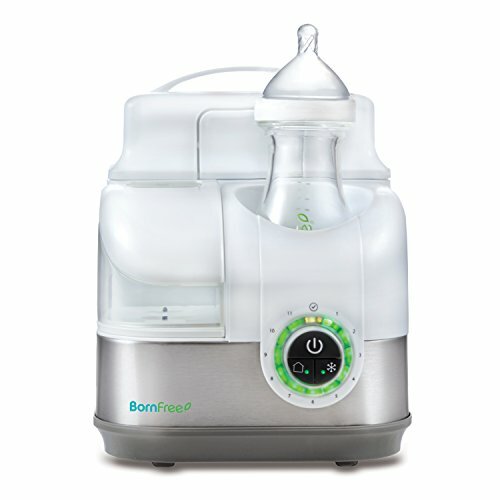 Expensive for a baby product. While the quality and design are top of the line, this sleep sack is expensive for a piece of clothing that may only be worn for a few months to a year. This set offers both a regular and swaddling sleep sack. Having two options not only helps parents of newborns find what works for their baby, but also lets you transition your baby away from swaddling when baby is ready. As far as swaddling goes, this sleep sack makes it easy. You can adjust the tightness without having to completely rewrap your baby. The fabric is soft against a baby’s sensitive skin, and the 100 percent cotton breathes easily to prevent overheating. Offers two sleep sack styles for more options. Having two sleep styles readily available gives parents options as they figure out what their baby likes. Swaddle-style sleep sack has three wrapping options – arms in, hands to face, one or both arms out. Users like having extra options, especially parents of unpredictable newborns. Easy to swaddle. The design makes it easy for first-time parents to get swaddling right. The Velcro also makes it easier to adjust the tightness of the swaddle. Soft, comfortable fabric. 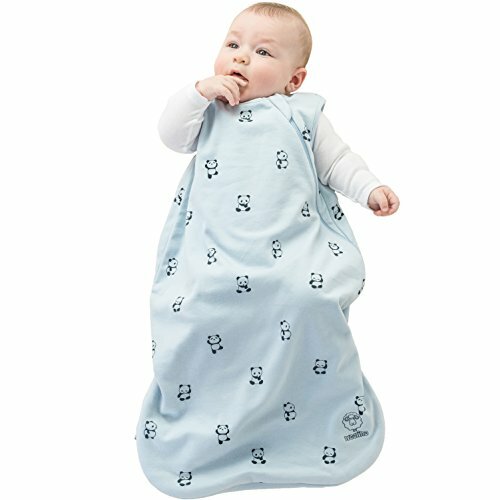 100 percent cotton breathes easily and makes a soft sleep sack that will make you and your baby want to snuggle. Loud Velcro. While strong Velcro is necessary, it’s loud enough to wake some babies if they need to be rewrapped while still asleep. Shifts while baby sleeps. Both sacks tend to creep up the baby’s face during sleep. Winter more than any other season leaves parents worried about their children staying warm enough. Winter sleep sacks are thicker, heavier and look more like a small sleeping bag than regular sleepwear. Long sleeve, quilted and blanket-like options are available. Quilted options offer extra warmth as air is trapped in each quilted pocket. Blanket sleep sacks often look like a polar fleece blanket or sleeping bag. This type should be reserved for the coldest weather as they are very warm. Look for breathable, yet warm, fabrics such as wool or quilted cottons. The quilted fabric almost feels like a mini-sleeping bag for your baby. Meant for cold temperatures, this sleep sack can take on high altitudes or climates with harsh winters. When you follow the temperature guidelines, your baby should stay warm without overheating. 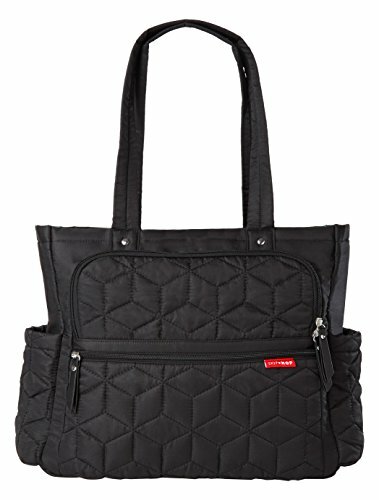 A single snap shoulder strap design makes getting your baby in and out fast and easy. It’s simple enough that you can do it without waking a sleeping baby. A good fit keeps this sleep sack from riding up during the night, and it’s sized generously enough that your baby should have room to grow. Quilted fabric provides extra warmth. The quilted fabric traps warm air, providing extra warmth. Many users that live where winter conditions reach below freezing felt their babies stayed warm and comfortable. Easy entry with good shoulder strap design. 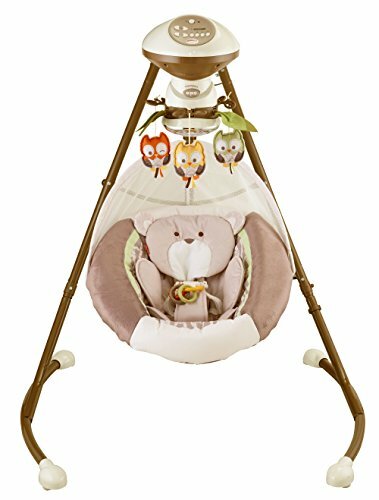 A single snap shoulder strap design, along with the zippered front, allows you to put your baby in this sleep sack without disturbing her. It’s a great feature many parents like because they don’t have to pull it over their baby’s head. Good fit with ample room. The shoulder straps keep the sleep sack from riding up the face, and the sizing is generous, allowing room to grow. Fabric occasionally gets caught in the zipper. The puffy quilted fabric can occasionally get caught in the zipper. Even in the warmth of summer, a light layer over your baby can help him sleep comfortably. Summer sleep sacks come in the same basic designs as winter sleep sacks, but the fabrics are lightweight, breathable cotton that won’t overheat your baby. Some wools are used for summer sleep sacks, but if you live in an area that gets hot in the summer, wool may be too heavy. 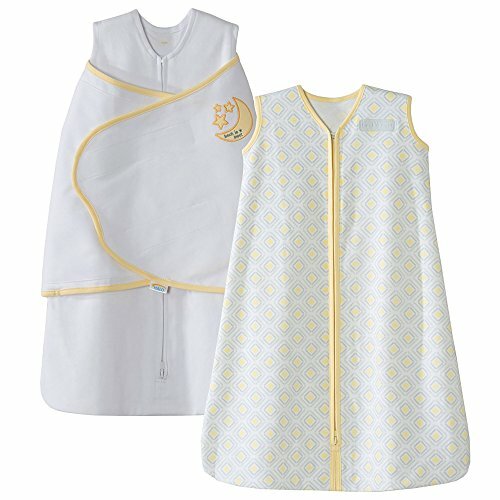 SwaddleDesigns provides a summer sleep sack that is lightweight and breathable. The open weave of the cotton muslin lets air and moisture pass through so your baby won’t overheat, even in hot temperatures. There is easy access with a two-way front zipper that can be opened from the top or bottom. That makes it easy to change your baby without waking him. This sleep sack comes in a variety of adorable prints that are cute enough to make you want to cuddle your baby even more than usual. Breathable, lightweight fabric. Cotton muslin has a loose, open weave that provides a light, breathable layer that’s perfect for summertime. Many parents like having an extra layer that won’t cause their baby to overheat. Two-way zipper for easier access. The two-way zipper lets you open the sleep sack from the top or the bottom, providing easy access that won’t wake the baby. Variety of print options. This sleep sack comes in a variety of fun prints so you can own multiple sleep sacks, each with a different print. Some units had durability issues. A few units started to ravel after a few washings. For those in more temperate climates, an all-season sleep sack might be suitable. These sleep sacks are often made of wool because it’s breathable but also regulates body temperature to prevent overheating or getting chilled. They are usually sleeveless, leaving you to decide whether you want short or long sleeves. These all-season sleep sacks work well for the majority of the year. High-quality merino wool gives this sleep sack its all-season abilities. It breathes and helps moderate body temperature so it works well throughout most of the year. The outer layer is soft organic cotton that feels luxurious against your baby’s skin. A zippered opening gives quick access for diaper changes. The top also zips and folds open so it’s quick to get your baby dressed. The shoulder strap design keeps the sack in place, while ample leg-room allows space to wiggle. This sleep sack provides the warmth needed for the winter without the extra bulk you’ll find in some other designs. Comfortable cotton/merino wool combination. This sleep sack has a merino wool inner layer and an organic cotton outer layer for incredible softness and great breathability. Parents love the softness of the fabric and versatility the combo gives them. Ease of access for diaper changes. A zippered bottom is easy to open when your baby needs a quick diaper change. There’s also a zippered opening at the top when you’re getting the baby dressed. Good design with a roomy fit. The design fits well up top, so there’s no creeping up while the baby sleeps. At the bottom, there’s plenty of room for a wiggly baby to stretch his legs. Warmth with the bulk. This sleep sack offers winter warmth without extra bulk. The quality of the wool makes the sleep design possible. High Price Tag. This sleep sack comes with a high price tag that may not work with some budgets. Swaddling sleep sacks are designed to wrap your baby up snug and tight. These sleep sacks have large flaps of fabric on either side that can be wrapped around your baby. Newborns do well with this swaddling style as it can be used to wrap their arms snug against their body. For babies that like a little more movement, their arms can be left out the swaddling while the fabric holds tight to their bodies. These lightweight swaddling sleep sacks have adjustable swaddling panels that help keep babies snug and secure. Your baby fits inside the sack portion where you can then tighten the panels over or under his arms. 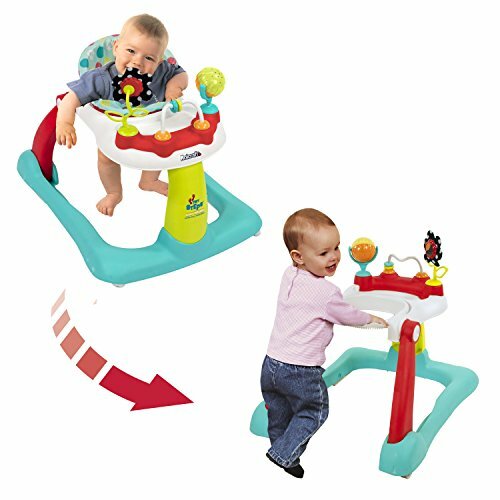 They work especially well for small newborns. You can loosen the swaddle as your baby gets older. The light cotton fabric works best for summer swaddling. With three coordinating prints in each set, you get cute options at a reasonable price. Adjustable swaddling panels. The Velcro on the swaddling panels allows you to adjust how tightly your baby is wrapped. Parents like that they can adjust the tightness as their baby grows. Cool, lightweight fabric for warm nights. These sleep sacks are ideal for warm weather as your baby won’t overheat even though they are swaddled. Attractive prints and design options. This set comes with three coordinating prints. Many parents liked having the extra options and the modern designs from which to choose. Runs a bit small for chubbier babies. Some babies that were within the suggested size limit found the blankets to be too small. Chubbier babies seem to be a bit too wide for this design. Toddlers are in constant motion and that’s even true when they get in bed. Sleeps sacks for toddlers have a slightly different design. They are thick a like a blanket and have legs with open feet. 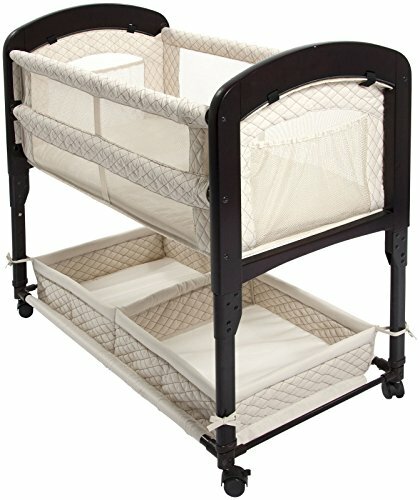 The open foot design allows them to stand in the crib without tripping over a sack bottom. These work well for toddlers that kick their sheets off in the night. They can stay warm without worrying about a blanket or bedspread. The open foot design of this sleep sack keeps things comfortable and safe for little walkers. Once babies begin to roll, crawl, and walk, this is the kind of sleep sack you’ll want to buy. The front zipper runs the entire length to the crotch. A loose fit makes it easy to get off once unzipped. The fabric is thick enough to keep your baby warm, yet soft enough to make her want to snuggle down for the night. It’s a great combination that works well. Open-foot design works well for kickers. For toddlers that kick their blankets off in their sleep, this design works well. The open feet let them stand in their crib and walk around the house. Good access through a front zipper. The front zipper runs all the way down to the crotch giving good access for diaper changes. Good warmth and soft fabric. The fabric is thick enough to provide good warmth while also being incredibly soft against delicate skin. Run large even when you use the size chart. They run large, but that leaves plenty of room for growth. Hard to get the feet back in after a diaper change. It can be tough to get a squirmy toddler back in the feet holes after a diaper change.